The best coconut oil will be cold pressed coconut oil which is often referred to as Extra Virgin or Virgin Coconut Oil. Expeller pressed coconut oil is somewhat refined, but it has its uses like with high temperature cooking. Fractionated coconut oil is one of the most processed of the coconut oils and is what the name implies - only a fraction of the coconut oil. This oil has had some of its fatty acids removed and your left with a more liquid type of oil. Fractionated coconut oil is often referred to as MCT Oil. Cold pressed coconut oil is the best coconut oil and is extracted without the use of too much heat or chemicals. 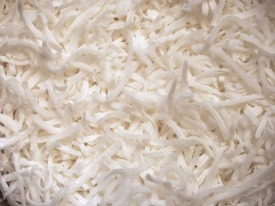 Good quality coconut meat is used for this extraction method. The best coconut oil that comes from the first pressing is called Extra Virgin or Virgin Coconut Oil. And the best coconut oil retains most of its beneficial antioxidants and is often organic. These oils will also retain more of a coconut taste and smell. Sometimes you'll see cold pressed coconut oil called "Raw Coconut Oil" or "Live Coconut Oil" especially in health food stores. Expeller pressed coconut oil is made by a mechanical process that uses pressure to extract coconut oil from the meat. The pressure used to extract coconut oil can create friction and heat. Therefore, this oil is somewhat refined and loses some of its nutrients. 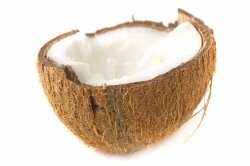 Expeller pressed coconut oil will lack in some areas, but will still retain its MCTs or Medium Chain Triglycerides. This oil also has a neutral flavor and is the best coconut oil for cooking or frying. It's also a cheaper oil than the cold pressed coconut oils. And you'll want to look for expeller pressed coconut oil that was mechanically pressed without the use of chemicals or solvents. 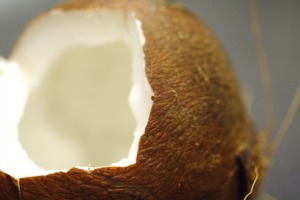 Fractionated coconut oil is made by using heat and is usually deodorized. It is also a more expensive oil. The small amount of long chain fatty acids are removed from this oil which makes it a different type of coconut oil. The fractionation process creates a thinner oil that will not go rancid and virtually has no scent. Most of the lauric acid is also removed and what is left is mainly caprylic or capric medium chain fatty acids. This coconut oil has a very long shelf life and is an incredible carrier oil. Fractionated coconut oil is the perfect carrier oil for essential oils and will wash out of sheets more easily. 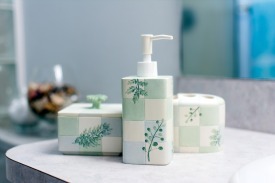 You can use fractionated coconut oil for cooking, but it is usually used as an ingredient in cosmetics, soaps, shampoos, massage oils, and in aromatherapy. This is one oil that you can use on your body to replace harmful lotions and creams. It is also used for mouth care and oil pulling. Cooking with coconut oil is so much safer than cooking with most unsaturated fats. Saturated fats can take the heat much better than polyunsaturated fats or even monounsaturated fats. Oils such as soybean, vegetable, and canola are often rancid to begin with, so cooking with these types of oils will produce many toxins. Not only is coconut oil safer to cook with, but it is very edible - especially cold pressed coconut oil. And you can use the best coconut oil to make mayonnaise and many types of desserts.